Hello Kitty Train is REAL. It seems like our childhood dreams really come true! Let’s Take a Tour at Japan’s Super Cute Hello Kitty Shinkansen. One of Japan’s most famous Shinkansen organizing company, West Japan Railway Co. Ltd has unveiled its super new Hello Kitty-themed Shinkansen bullet train. The train will begin operations on June 30. The special train, running the company’s Sanyo Shinkansen line, the train will begin service between Osaka and Hakata, debuted on June 30. It will continue to run for the next three months. Probably there is only one thing that will never get old in Japan, it is Hello Kitty. The Sanrio’s adorable feline, mouthless character. After so many years in the business, Hello Kitty is still everywhere, on the markets, clothes to jewelry. The West Japan Railway company has made two 500 series Shinkansen bullet trains, clothing them in Hello Kitty designs. Two of the cars have been totally transformed into Hello Kitty worlds, featuring extreme and adorable Hello Kitty characteristics. I hope you love pink because there is no shortage of it. The special white and pink shinkansen has Hello Kitty character illustrations greeting passengers. Inside, the cars are coated into a world of Hello Kitty with pink, white, and purple designs and Hello Kitty looks at you from everywhere, even in the shades of the windows. It confirms that the dream has come alive when you look at the train. Car 1, named Hello! Plaza, it is seatless because it is dedicated to Hello Kitty shows and exhibitions of different Hello Kitty attractions. Passengers are able to browse a marketplace of specialty Japanese goods, delicacies so they can buy souvenirs, making the train the ultimate tourist attraction. The second car named Kawaii! Room, here not just the wall, floor, windows even the head and armrests are coated in motifs from Hello Kitty. The car has a “life-sized Hello Kitty” doll wearing a train operator’s uniform, for the fans to take a selfie with for your Instagram needs. Cars 3 to 8 are standard trains, but even here, if you are a true fan, you can find some hidden Hello Kitty elements. The company also planned to open a super cute Hello Kitty coffee shop and shop in Fukuoka’s Hakata station to lead on the launch, in kawaii style of course. A special Hello Kitty coffee shop opened on June 1 and then you did not have to wait too long for the new keepsake shop which opened on June 30 selling exclusive products related to Hello Kitty. How to Ride the Hello Kitty Train? Passengers can ride the train with a regular train ticket, purchased in advance or on the day of the travel, but travelers are hoping to board the Hello Kitty Shinkansen and can find the timetable online on a website. They are wanting to ride the train from Hakata Station and they have to rise early as the limited express Kodama leaves at 6:40 am. But no worries, the return train, departs Shin-Osaka Station at the time of 11:29 am. The train makes one round-trip run every day, except July 18–20, August 8–10, and September 3–5 and 26–28 when it will head to the shop for routine service. The Best Thing Is Yet To Come! The design meant to represent the campaign’s goal of connecting travelers with destinations in the unique Japanese regions. The aim is to revitalize regional communities in western Japan. Japan’s tourism industry is also hoping a supercharge from the world famous cartoon character, which has spread around the globe since its creation by Yuko Shimizu more than four decades ago. 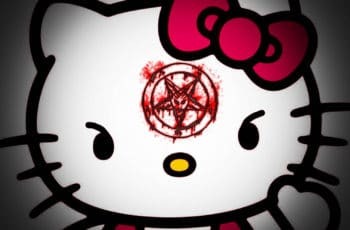 Hello Kitty has spawned a multi-billion-dollar industry since Sanrio introduced it in 1974. The Eight original Hello Kitty designs have been represented. Each of the eight Hello Kitty is holding a local product portraying each of the prefectures the train visits. There are so many uniqueness in these prefectures. What if I say, the green apple for Tottori region and a black shell for Shimane, I am sure you know what I am talking about. Other prefectures are Osaka, Hyogo, Okayama, Hiroshima, Yamaguchi, and Fukuoka. Osaka’s known for its takoyaki (fried octopus balls) and okonomiyaki (a savory crepe of sorts), Fukuoka one of the most famous foodie places in Japan because of the city’s signature dish, Tonkotsu ramen, a pork-based noodle dish. So, a ride on this kawaii bullet train is well worth it—for foodies and fans alike. But you have to hurry at the moment it is confirmed that this train will run for a limited time. 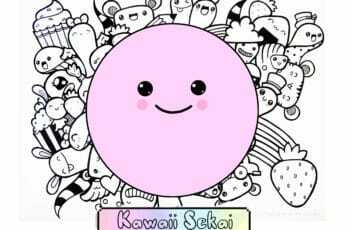 Let Me Introduce Kawaii Sekai!